Over two million customers from Germany’s Vodafone had their personal details stolen by a computer hacker. The carrier said the hacker gained access to the names, addresses, birthdates and account numbers at banks of their customers. The trove of data was stolen from a company database that was part of its internal network. The wireless operator said its customers were told about the security breach and had been warned of possible “phishing” messages that would try to gain information that is more personal. In a company statement released to the public, Vodafone said it deeply regretted the hacking incident and apologized to every individual client it affected. Vodafone announced it did not think the computer attacker was able to get a hold of sufficient information to access the bank accounts of customers since phone numbers were not accessed, nor details of credit cards, passwords or PINS. Vodafone’s German subsidiary did not mention when the actual attack had taken place, but did say police had asked to not notify customers until the investigation was underway. Police and Vodafone said they had identified a suspect and had searched that person’s home. Vodafone said that now that that had been done they were free to talk about the hack and inform the over two million clients who had been victims of the attack. 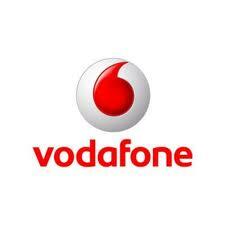 In all, the Vodafone subsidiary in Germany has more than 36 million wireless customers. The wireless operator said the attack was only accomplished through insider knowledge, a high criminal intent and had been launched inside the companies IT infrastructure. Law enforcement authorities and officials at Vodafone would not identify the alleged hacker when contacted via telephone. Vodafone representatives referred questions pertaining to the identity of the hacker to law enforcement authorities.